The question I am most often asked while meeting new and prospective camp families is ‘What separates Bridgton Sports Camp from all of the other camps?’ I would like to use this blog to answer that question. “A camp is only as good as its staff”. I heard this quote early in my camping career and it continues to be the most important lesson I have learned. I was sent to sleep away camp in Maine when I was nine years old. After eight years as a camper, I couldn’t wait to begin my career in camping. I started as a counselor, then group leader, and worked my way up to several full time camping positions. I then had the invaluable opportunity to help start two camps from the ground up. When my dream of Bridgton Sports Camp became a reality, one of the first calls I made was to our current assistant director, Wade. I met Wade when we were both counselors and have always said that if anyone was a better counselor then me, it was Wade! Wade is a teacher in the “offseason” and his wife a child psychologist. One of our division leaders, Evan, has been at BSC from the beginning and is currently in school to make working with children a career. We have an RN Jennifer, and a trainer, Sam, who work around the clock to keep our campers safe/healthy. The structure of our camp is unique. In addition to experiencing everything that you would at a traditional summer camp, campers have the opportunity to pick one specific sport (ice hockey, soccer, lacrosse, basketball, baseball) and major in it, guaranteeing each camper will have their favorite sport 2x each day. The strength of our major program are the coaches. They know how to make their sport fun, and at the same time push the campers with a combination of drills, skills competitions, and games. Coach Whit has been the Basketball Director since the beginning. During the winter he is the head coach at Bridgton Academy and is currently in his 17th year! Coach Warde also works at Bridgton Academy as their Director of Hockey and Head Coach. Before Bridgton, he was an assistant coach at the United States Military Academy at West Point and has many years experience running hockey camps. Coach Verrill runs our baseball program. I can’t begin to list all of his accomplishments here because he began his coaching career in 1969! Our soccer director, Coach Green has been the head coach at Central Connecticut State for the past 28 years. I don’t know of many summer camps that have a D1 level coach running their program! Our facility is awesome! The first time I set foot on Bridgton Academy it had the look/feel of a sports camp. We have the entire use of the BA campus over the summer so our campers consider Bridgton Sports Camp home. 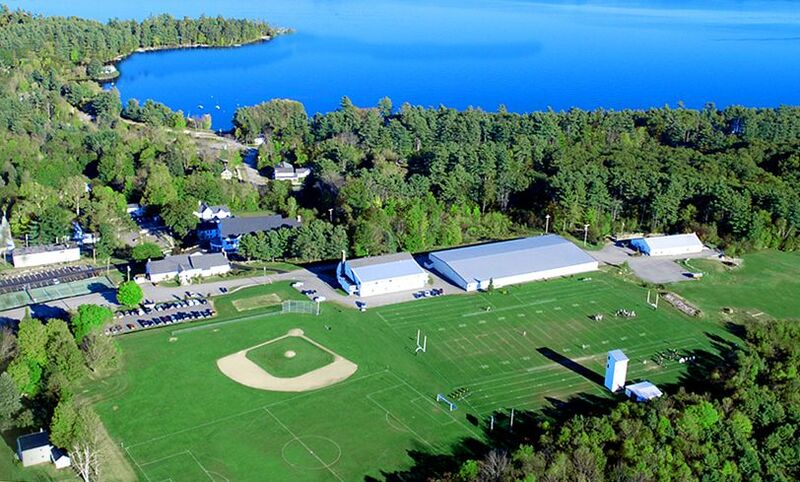 BA is one of the only campuses that is directly on a lake that we take full advantage of with waterskiing, wake boarding, fishing, canoeing and swimming. Our counselors have the hardest (and most rewarding) job at camp. They live in the trenches with the campers and make sure that everyone is safe/happy. I would love to list and write about the attributes of each counselor, but that will make this blog way too long. So what sets us apart from all of the other camps? Our staff, the team of people at Bridgton Sports Camp that work together all summer making sure each camper is safe and thriving in our camp environment.